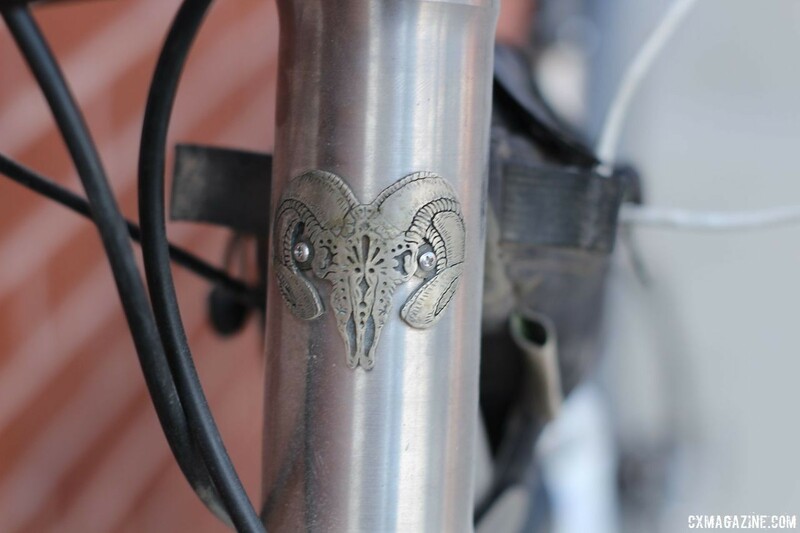 James Bleakley of Black Sheep Bikes in Fort Collins has been in the bike making and bike riding business for nearly two decades now. During that time, his experience has taught him what he does and does not like in his bikes. "I've done this for so many years, and so every bike is an evolution of what you've ridden previously," he said. "You're zeroing in on little things." 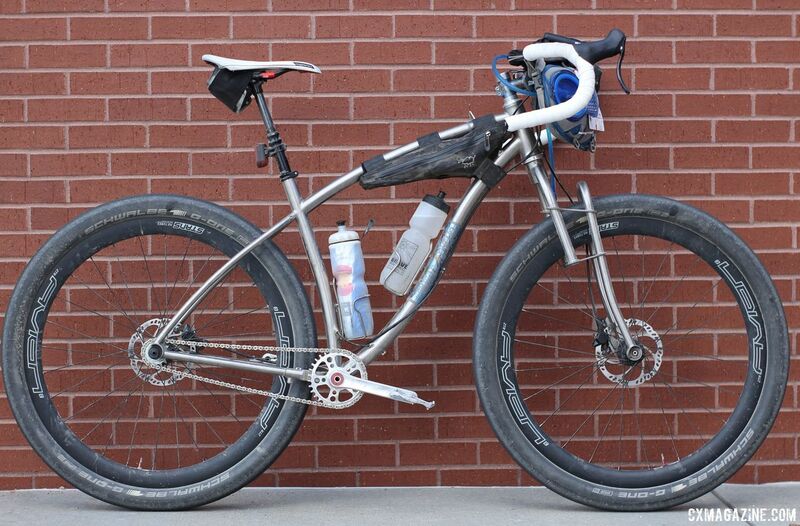 One of Bleakley's latest creations is the titanium Gravsplosion gravel/mountain bike he rode at the 2018 Gravel Worlds. The gravel version of the Gravsplosion includes a custom titanium fork for compliance on gravel roads and a custom titanium handlebar made for gravel comfort. We chatted with Bleakley about his bike after Gravel Worlds to learn more for this profile of his unique gravel grinder. James Bleakley started Black Sheep Bikes 19 years ago in Fort Collins. When he started he worked with steel, but he has since transitioned to working mostly with titanium on a custom-order basis. For those into steel, he recently released a "Roots" line of stock steel bikes that are more for the masses than the custom titanium frames. 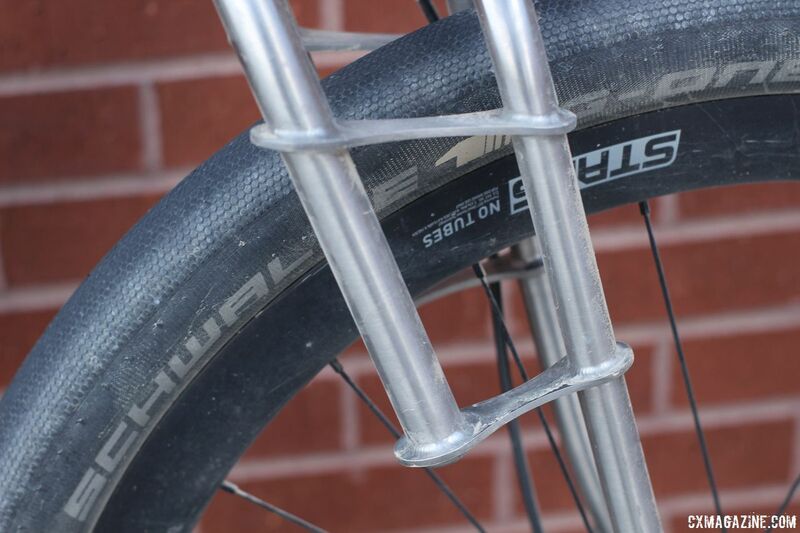 Bleakley designed the Gravsplosion as a 29-Plus mountain bike frame that can also pull double duty on gravel roads. "This is a 59cm top tube, which is long for me for a gravel bike, but a 50cm stem puts the bar where you need it," he said about his Gravel Worlds setup. "A 59cm top tube when you're riding a mountain bar and fork makes more sense. It really was meant to toggle back and forth." The titanium frame has a sloped top tube and curved down tube. Blue anodizing graces the down tube and the stem, and a custom white bronze head tube badge made by a jeweler in Philadelphia leads the way at the front of the bike. 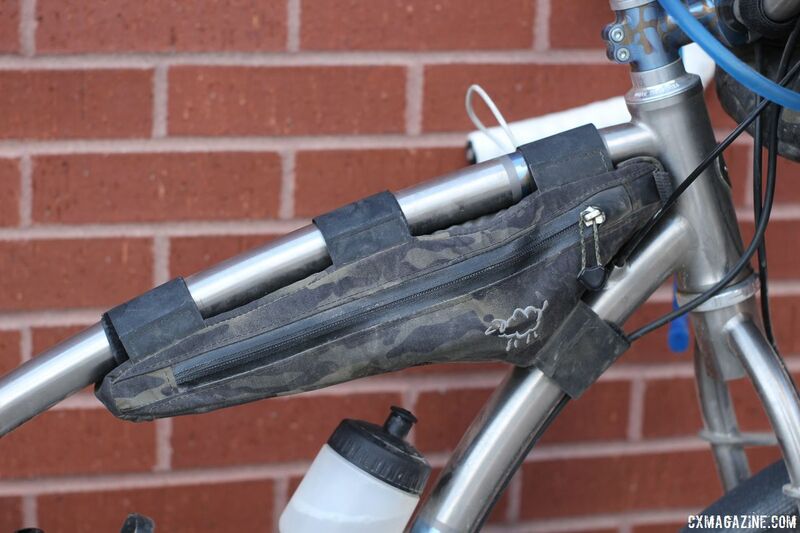 The mountain bike version of the Gravsplosion uses a 125mm-travel fork and a flat bar. The Gravel Gravsplosion? It's a bit more unique. The fork is a custom titanium build with leaves that kind of make it look Lauf-Grit-like. "The leaves are neither parallel, nor the same length, so they're bracing against each other, rather than tending toward compliance," Bleakley said about the unique design. "It has maybe 5-10mm of travel, so there's some vibration damping mostly. It will take big hits too, but it's mostly rigid." 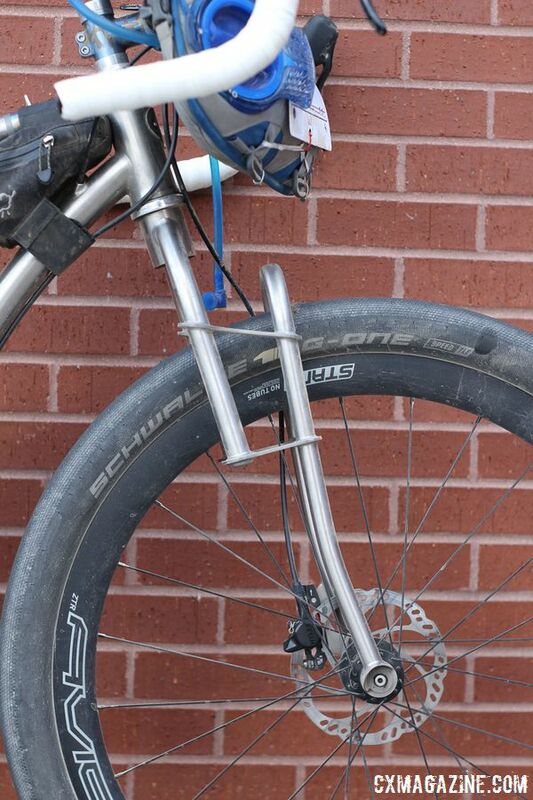 The drop bar handlebar is also a custom titanium design Bleakley put together. The bar has a loop out front and flared drops to help provide more comfortable hand positions for long gravel rides. The bar is 56mm wide at the outside and 59mm wide at the drops. Bleakley took full advantage of his custom bar at Gravel Worlds. 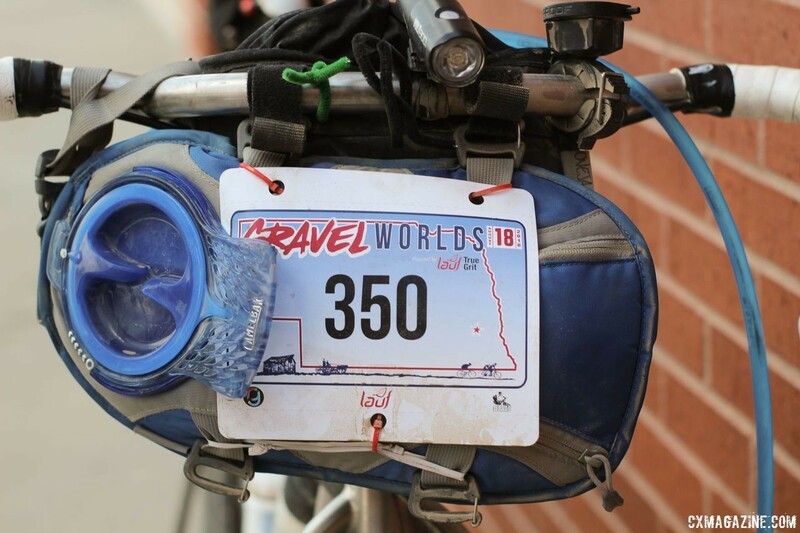 Before the race, he attached a bag through the loop to carry his food and gear, and during the race, he also used it to store his Camelbak to take a little load off his back. Another unique aspect of the titanium frame is that it is ready for travel. 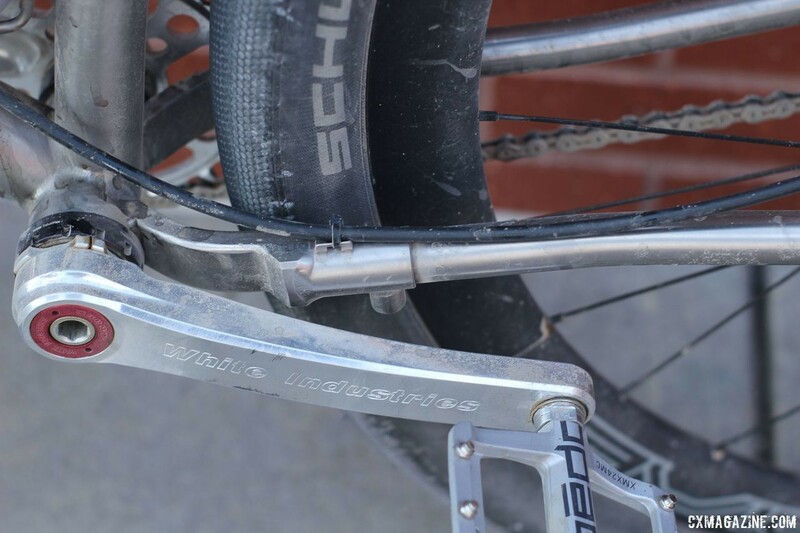 The frame has a bolted connection on the seatstay and a telescoping chainstay that allows for detachmen or adjusting the chain stay length. Bleakley ran his Gravsplosion as a singlespeed setup at Gravel Worlds. 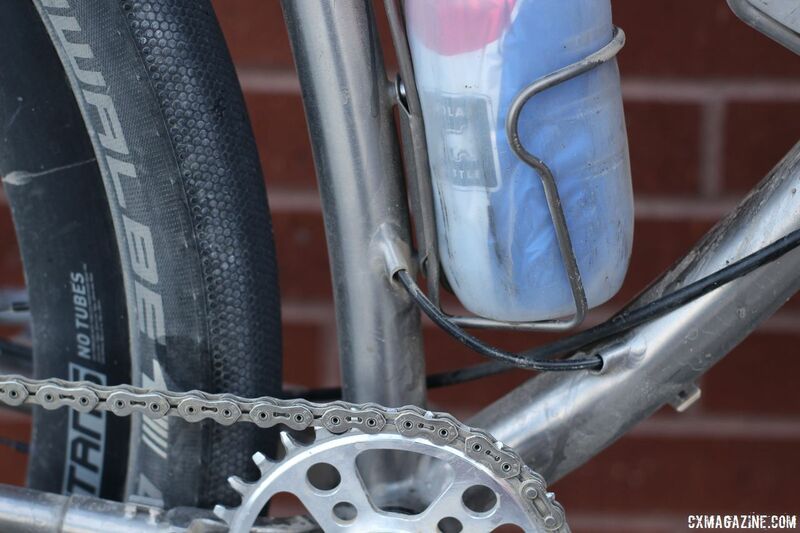 The crankset was a White Industries VBC road crank with a 32t White Industries chain ring. In the rear, he ran a 15t cog for a total of about 60 gear inches. The disc brakes were post mount TRP Hylex calipers with IS mount adapters and TRP Hylex Singlespeed levers. 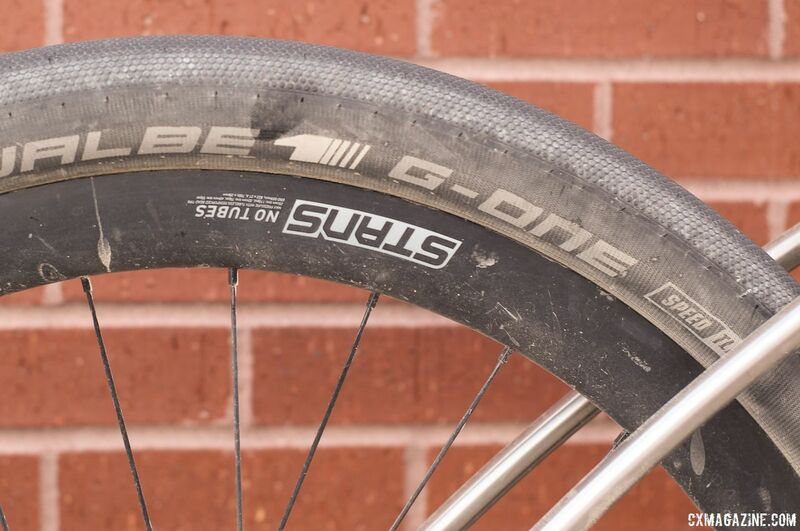 Bleakley ran carbon Stan's Avion wheels with what he called "gravel-plus" tires, which were 29 x 2.35" Schwalbe G-Ones. The mountain bike lineage of the Gravsplosion also came through via the PNW Components Rainier 27.2 IR dropper seat post. 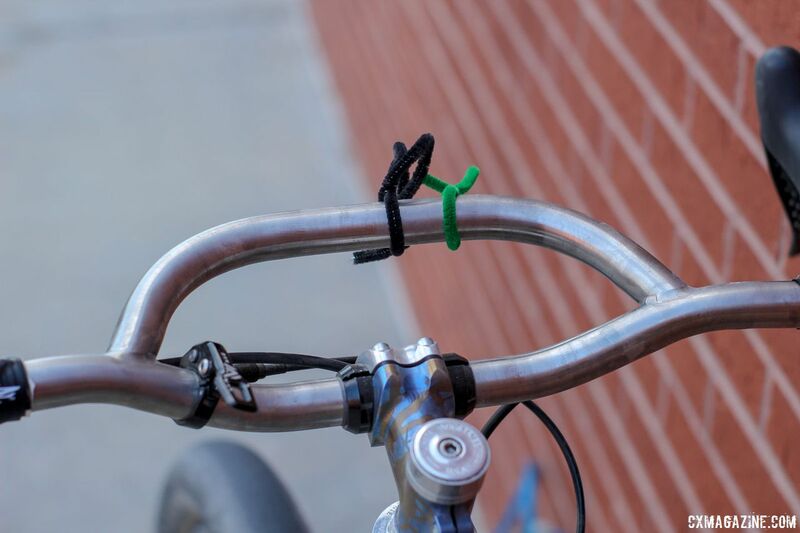 Bleakley used the standard lever instead of the CX-specific one the company offers for drop bar bikes. His saddle was a white Pro Turnix model. 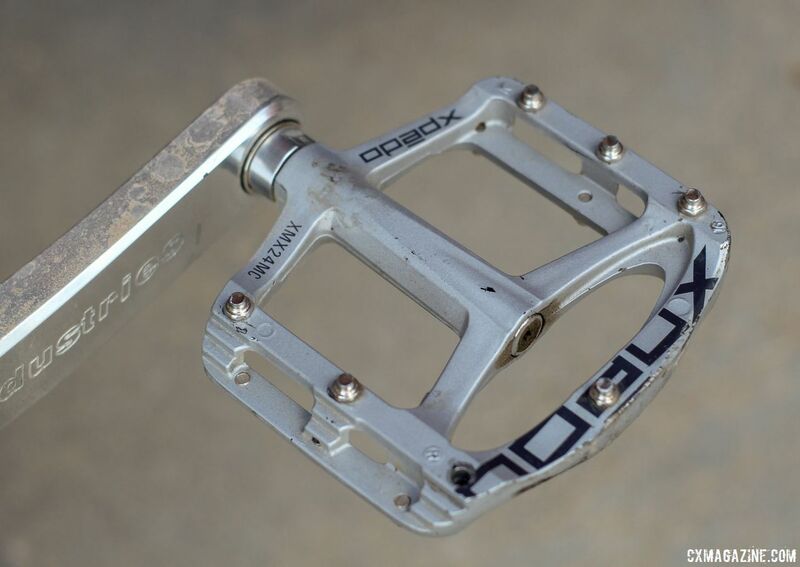 Bleakley did all of his pedaling on magnesium XPEDO SPRY flat pedals. After Gravel Worlds, Bleakley said he had a good ride on his singlespeed Gravsplosion. "I think my fitness was off compared to years past," he said about his ride. "I've done this race maybe 20 minutes slower on a singlespeed fat bike, and I expected to be faster, but it is what it is. It was hot, so I'm glad to be done, and I'm glad to come in under 12 hours. I had a couple of personal goals that I met." For more on Bleakley's titanium Black Sheep Gravsplosion, see the photo gallery and specs below.